On 14 March, Marielle Franco, a veteran member of PSOL in Rio de Janeiro, was barbarically executed in the city centre. Anderson Pedro Gomes, the driver of her car, was also killed in the attack. Police investigation identified 9 gun shots in the back window of the car, showing that the murderers targeted Marielle, and knew where in the car she was sitting despite the blacked-out windows of the car. Marielle was 39 years old and has a 18 year-old daughter. A black, lesbian women, she lived in the Favela of Mare, in Rio, where she worked in defence of black women and human rights. She was a long-time militant activist for just causes in the interests of the poor in the city. In 2016, she was the 5th most voted candidate for the Rio council as a PSOL candidate. As a councillor she was a leading voice in the struggle against systemic barbaric police violence in the favelas of Rio against poor and black people. In Brazil, a young black person is murdered every 21 minutes. Of every 100 assassinated people in Brazil, 71 are black. Murders of black women grew by 22% between 2005 and 2015, when non-black deaths fell by 7.4% in the same period. In the beginning of February, the Temer government decreed a Federal intervention in the state of Rio de Janeiro in questions relating to public security. He put an army general in charge of security and promoted military intervention into the favelas and communities. This has led to the same repressive and abusive practices which Brazilian troops carried out in Haiti in a United Nations mission, being brought to bear on the poor favela dwellers of Rio. Marielle Franco was a central leader of opposition to this intervention. 2 weeks ago, she was appointed head of the commission set up by the council to supervise the intervention. Three days before her murder, Marielle denounced the arbitrary and abusive actions of military police in the Acari favela where residents were assassinated and killed by the 41st battalion of the military police, known as the “battalion of death”. The corruption, violence and racism of the Rio military police, and their links with extermination groups are obvious. There can be no doubt that the murder of Marielle is related to her struggle against this situation. 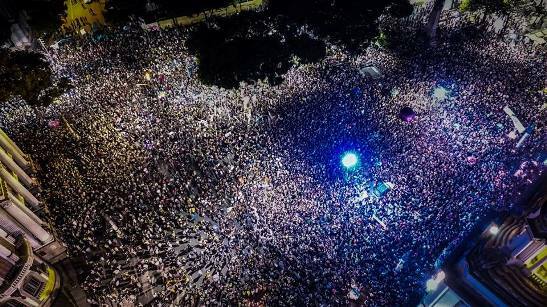 In recent years, mainly after the parliamentary coup which brought Michel Temer to power, Brazil has seen a qualitative increase in state and extra-institutional repression against social movements. This repression and criminalisation of movements and leaders can use new institutional measures brought in by the PT (Workers’ Party) in government, mainly during the World Cup and Olympics. We have seen activists and leaders systematically threatened, attacked and killed. Two days before Marielle’s murder, a leader of the amazon people, Paulo Sérgio Almeida Nascimento, 47 years old, was killed by 4 bullets in Barcarena (Para state). Paolo was leading a struggle against the Norwegian mining company, Hydro, which wanted to build a basin in this region with a dramatic impact on the environment and lives of the local population. As a consequence of the crisis and the attacks on the workers and poor, there has been resistance at every level, despite not yet having the necessary coordination and strategy to bring victory. It is fundamental that we unite the struggles in defence of our lives and our rights. It is crucial to build a Left, Socialist alternative for the working class and all oppressed and exploited people. For Marielle Franco, for Paolo Sergio, and for all black people, indigenous people, trade unionists and social movement activists, our struggle must continue with more strength, unity and organisation. LSR (CWI in Brazil) is part of this struggle. We will not be silent or let them stop us from fighting for our lives. 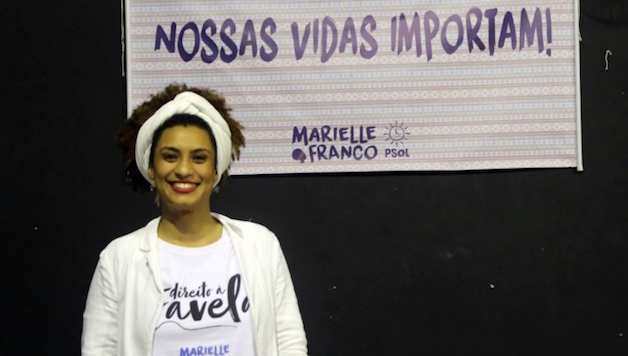 Marielle presente! Hoje e sempre! Previous articleEEUU: La masacre de la escuela de Parkland – la juventud se alza contra la violencia y la desigualdad.